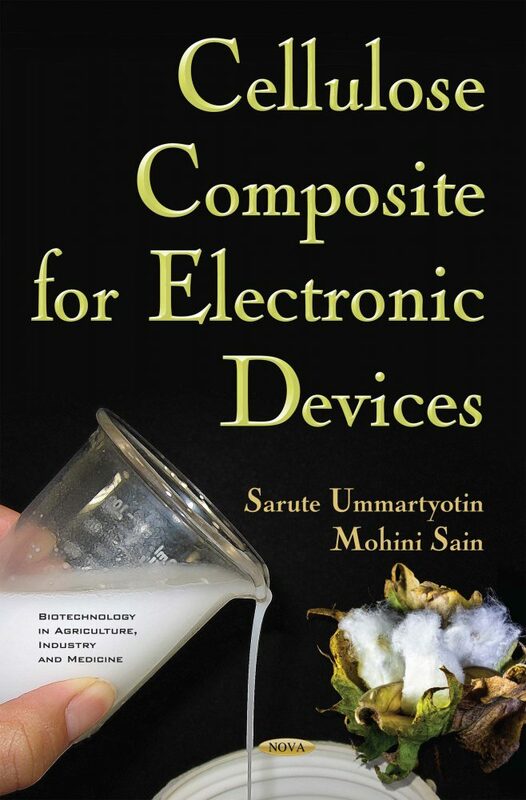 The present book provides a state-of-the-art overview on cellulose and its application in electronic devices. It covers both cellulose from forestry and the development on cellulose for electronic devices. From the fundamental point of view, cellulose was considered as the most abundant availabile resource of bio-based materials. The research on cellulose was designed for forestry to industrial commercialization. The overview of cellulose from forestry is provided along with the method for properties modification. After that, significant enhancement of cellulose properties is evaluated on an electronic device. The content of this book is involved on academic research of the author (active from 2010 to the present time) at University of Toronto, Canada, The Petroleum and Petrochemical College, Chulalongkorn University and Thammasat University, Thailand. As mentioned above, chapter contributions are made from laboratory experience and strong research publication among these institutes. The comprehensive and systematic overview provided within this book is expected to assist the reader in comprehending the importance of taking into account cellulose from forestry and its development for the electronic device. Finally, the editor would like to express sincere appreciation to the research contributors for their dedicated collaboration in cellulose for the electronic device project. We sincerely hope this book will enable readers to connect basic research principles with up-to-date knowledge, thereby encouraging future discoveries and development of cellulose for many possible applications.